The autumn has come and the weather is getting colder. Many girls have caught a cold. Headache, stuffy nose, and sore throat make them suffer. At this time, it is very necessary to have a warm sweater. However, there are too many sweaters for sale, many of which are of very poor quality, not only do not keep warm, but also shed EVERYWHERE. 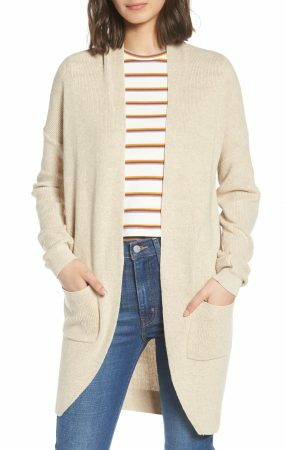 So how can we find a great sweater? 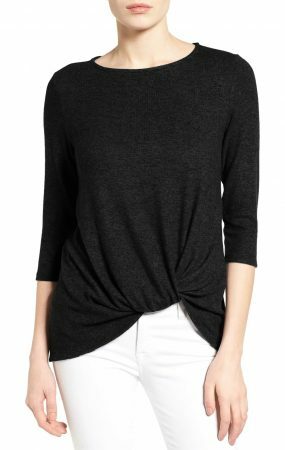 Today we are going to introduce 7 women’s sweaters that are highly rated in Nordstrom. They are very soft, comfortable, well-made, light and warm. 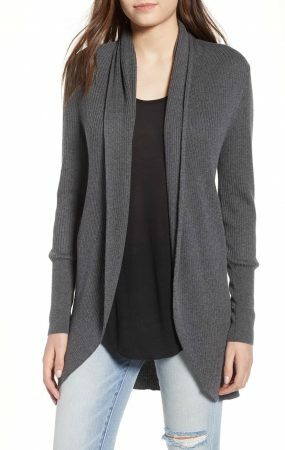 Ideal for office or casual in fall and winter. Every girl obsesses over them, takes them as must-have staples for autumn and winter or their go-to sweaters. 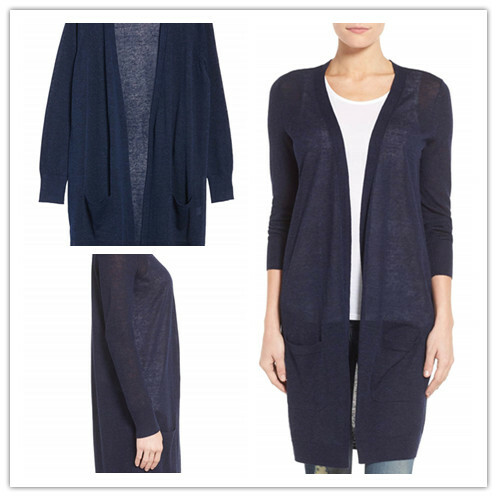 This is one of the most popular cardigan on Nordstorm, with up to 2.4K of reviews, almost each reviewer adore it. 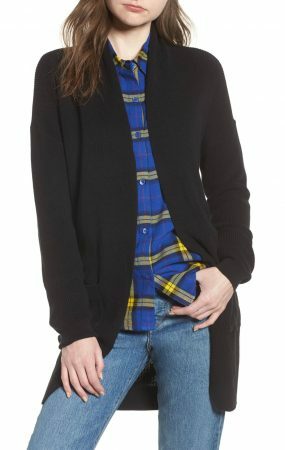 This cardigan has excellent quality and is super soft, comfy and warmer than you expect. Even some girls obsess over it and want to wear it every day. 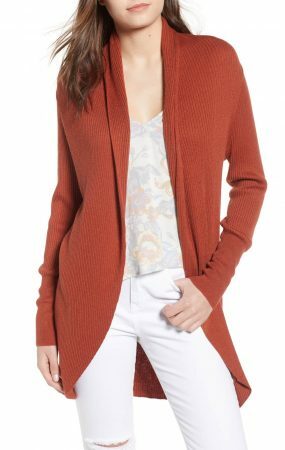 This cardigan can definitely be your go-to sweater for your fall. 2.Stitch Curve Hem Cardigan - BP. 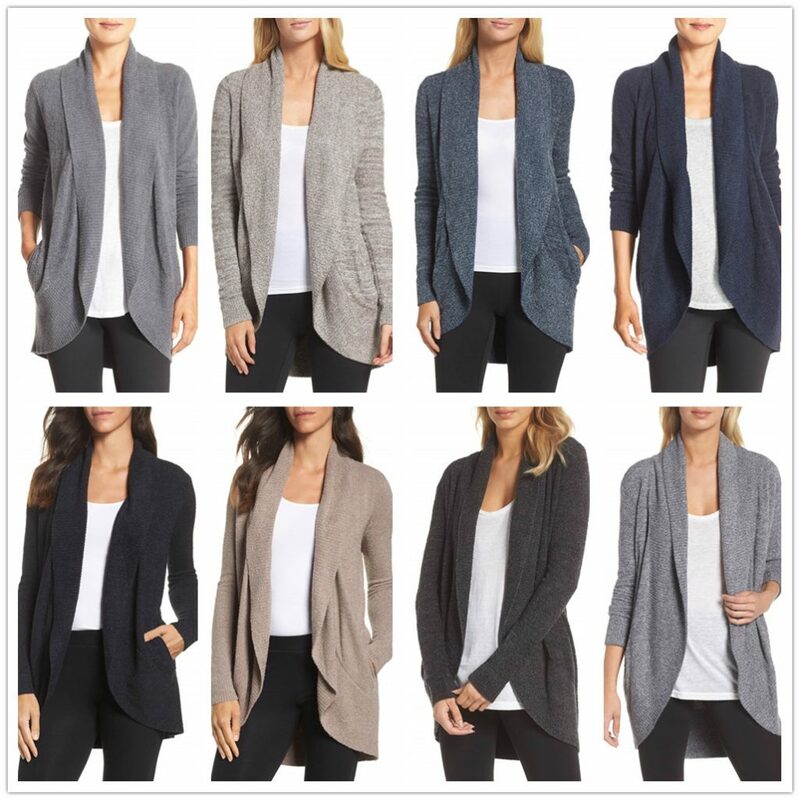 This cardigan also has a very high popularity and very good evaluation. 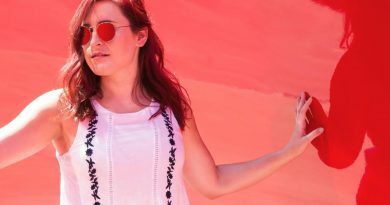 It is soft, comfortable, stylish and has good quality. It will look great with jeans and boots. If you like this style, this dress is very worth buying. With 985 reviews and extremely high praise, almost all buyers are very satisfied with it. 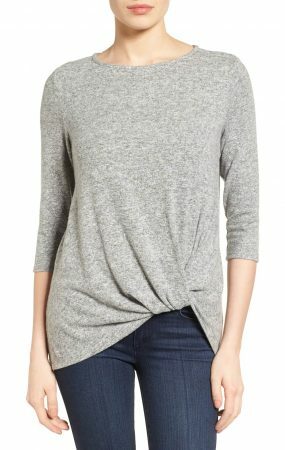 I guess this should be the most popular pullover on Nordstrom. 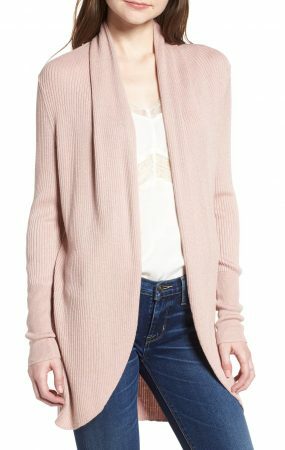 The pull is is so cozy and perfect for fall. The fabric is so soft and you even want to cuddle up in it all day. 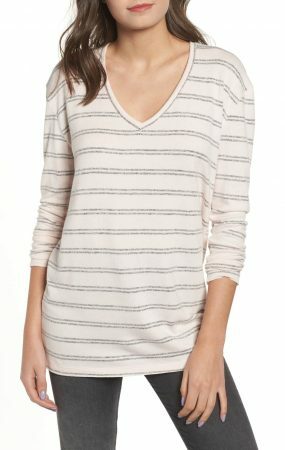 It can be appropriate for dressy occasions, paired with nice slacks or a skirt, or casual & cozy. 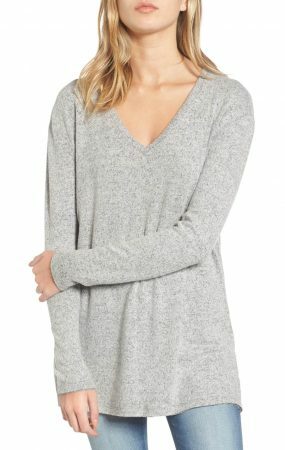 4.V-Neck Long Sleeve Sweater - BP. 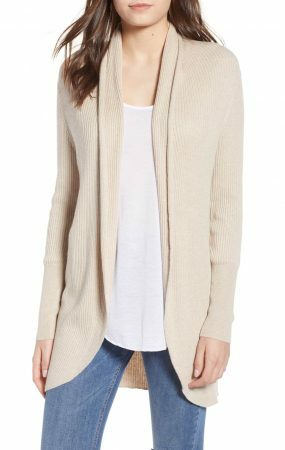 “This sweater is really soft”, “This is going to be for sure a staple in my fall/winter wardrobe”. I think this should be the voice of almost all buyers. 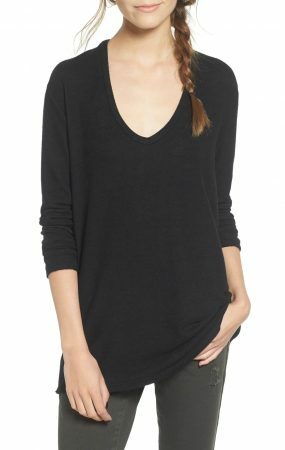 If you want to buy a soft and comfortable sweater at a good price, it will meet all your needs. 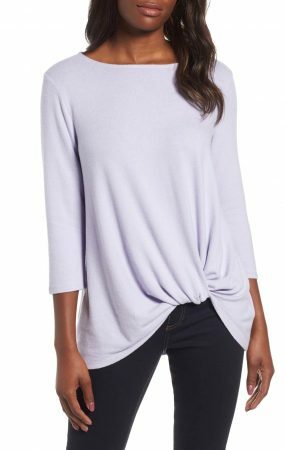 In addition, You can wear this sweater with leggings and sneakers or you can dress it up with some great pants and heals. Absolutely very good looking. 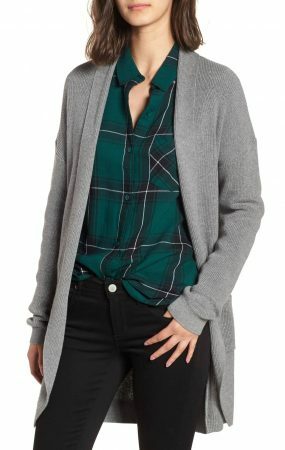 Definitely a fall and winter staple! 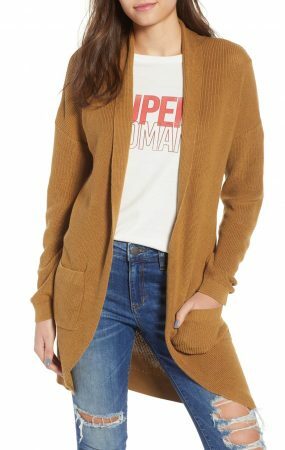 You can’t tell from the photos, and may think this sweater doesn’t look like anything special, but actually everyone obsessed over it when they saw it in person! The materials is light buy cozy and it can easily be dress up or down. 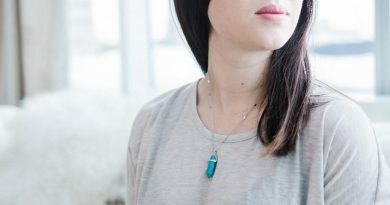 You will find it perfect for office, out on errands, date night, etc. 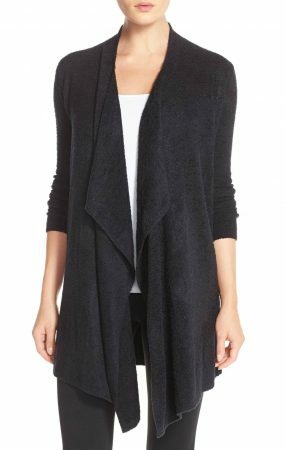 Another popular cardigan from BAREFOOT DREAMS. 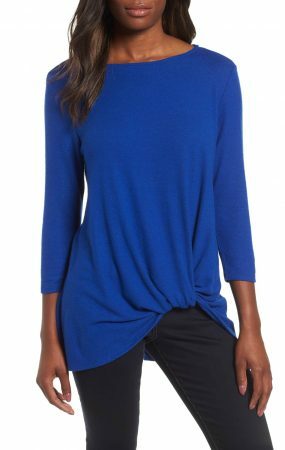 It’s soft, comfortable, and so stylish that you don’t want to take it off anymore. 57% linen, 27% viscose, 16% polyester. You may receive compliments all around when you wear it. It’s very nice and chic and can go with anything. You can dress it up for a professional look or dress it down for the weekend or business casual. It’s light but warm enough and perfect for Spring, Fall and cool Summer nights.